Sand show - multimedia presentation CLUB Alexei Kozlov "romance with sand"
Multimedia presentation of "Roma with sand": Sergey Nazarov (sand animation), Naira Asatryan (vocals) etc. The unique synthetic action, the alloy of different types and styles of art, "the theater of sand", classical music, opera singing, Suprematism and impressionism, classical and avant-garde. The protagonist of the synthesis sand show - a "love of the Creator to the fleeting life, her playing in the sand of time." In order to present it to you, assembled and soldered exceptionally talented team of artists - both famous and standing on the threshold of glory. 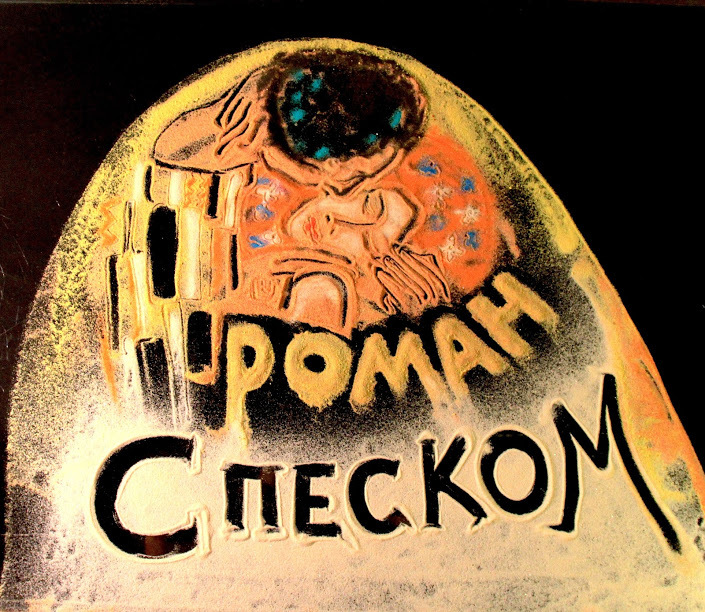 Read more about Sand show - multimedia presentation CLUB Alexei Kozlov "romance with sand"
COOKING PREMERU- "Voskhod", the plot RUSSIAN classic fairy tales. 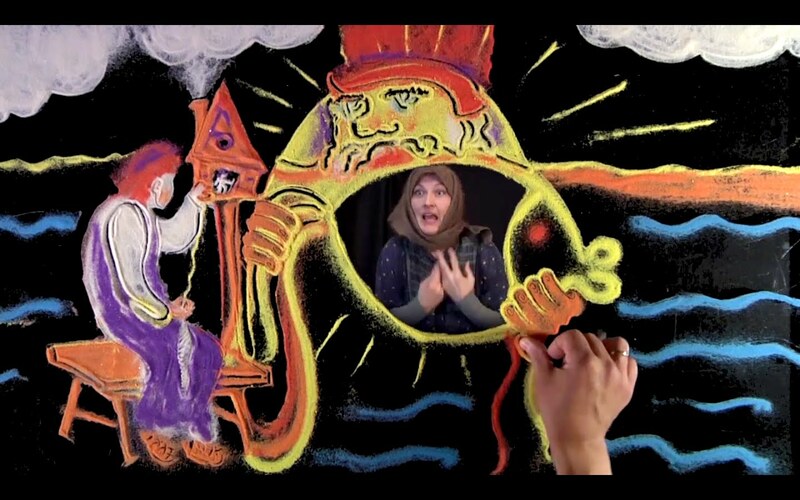 By the beginning of the theater season, our Theater of Sand is preparing a surprise their viewers, children's sand fairy tale "Voskhod", the plot of classic Russian fairy tales. Videoanons tales can be seen HERE. Watch out for our poster. 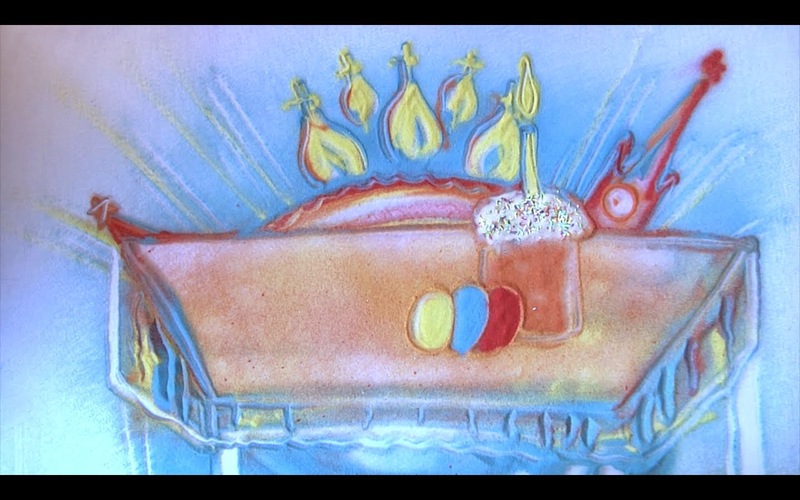 Read more about COOKING PREMERU- "Voskhod", the plot RUSSIAN classic fairy tales. Sand show at the "Primordial Russia." January 23, 2015 Sergey Nazarov with his sand show became a co-host, along with leading the 1st channel, Viacheslav Zavyalov, the inauguration of the second festival "pristine RUSSIA". Sand painting Sergei and more details can be seen here. Read more about Sand show at the "Primordial Russia." Sand show for the Trust Charitable Fund "VERA"
December 27, 2014 Sergey Nazarov Theater sand brought the smallest ward Charity Fund "Vera" your New Year's gift sand. 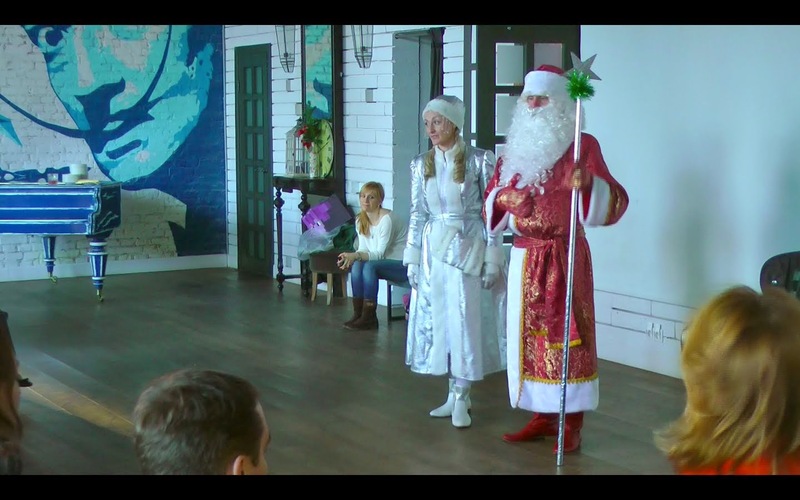 Actors teatra- Santa Claus (Guluyev Constantine) and Snow Maiden (Olga Nesmeyanova) - played with the children, held competitions and quizzes, handing out presents under the Christmas tree. The evening was interesting and exciting. Read more about New Year's sandy presentation can be found here. Read more about Sand show for the Trust Charitable Fund "VERA"
Sand show colored sand at the presentation of a new collection of jewelry at home "CLUEV"
December 18, 2014 in the Crocus City Mall grand opening of the new jewelry store "CLUEV", designed by Project Line. Jewelry House "CLUEV" founded by Ilya Kliuev 15 years ago, and since then the brand's hallmarks are an individual approach to the design of jewelry and the highest level of quality. At the opening ceremony, Sergey Nazarov its sandy show presented a new jewelry collection - "at your feet", dedicated to the silver age of Russian culture and statehood. Read more about Sand show colored sand at the presentation of a new collection of jewelry at home "CLUEV"
QUEST IN MOSCOW - ELEMENTARY QUEST - NEW FORMAT OF ENTERTAINMENT! But what is sand show ?! Quest in Moscow - Elementary Quest - The new format of entertainment! But where do the sand show ?! All very simplicity mystery question maze crossword ... - all this display one visuals and how to find the answer? So here's a challenge put before our theater creators Sand quest ELEMENTARY - Elementary. And, hopefully, we coped brilliantly with this difficult task, reflecting the sand show all intelligent components: "Escape from Schenk Show", "The Mystery of Marilyn Monroe," "Breaking Bad," "Supernatural." Theme created by subjects known films and TV series. This game creative project. 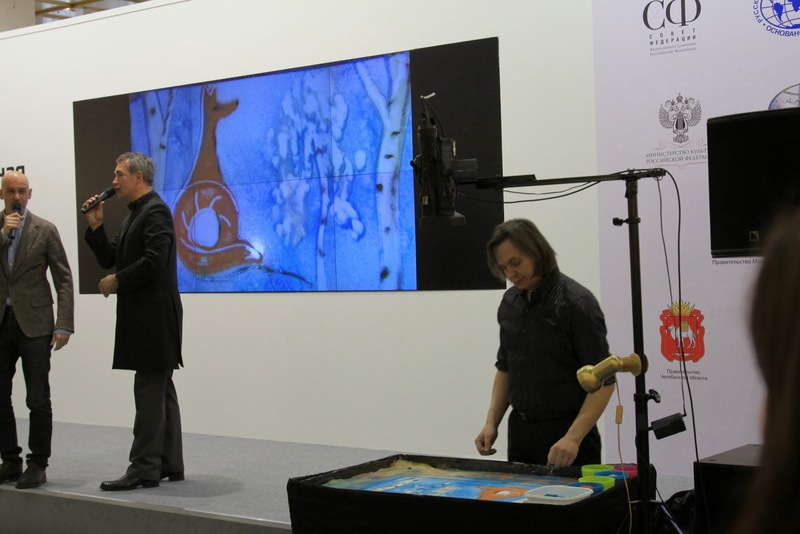 Read more about QUEST IN MOSCOW - ELEMENTARY QUEST - NEW FORMAT OF ENTERTAINMENT! But what is sand show ?! Sergey Nazarov Theater of Sand congratulate his performance of Sergei fiddle and the Russian State Symphony Orchestra of Cinematography double anniversary. 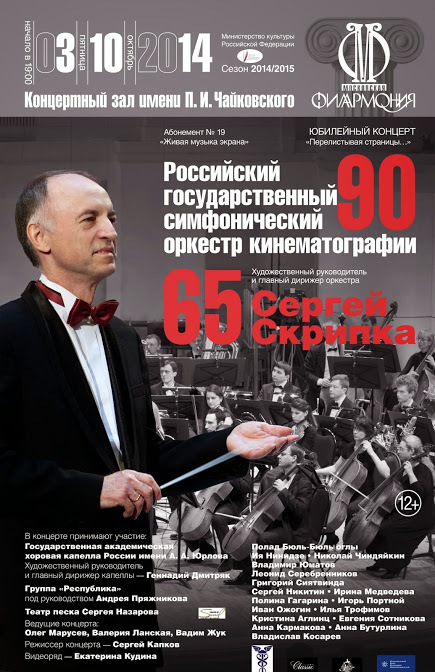 Russian State Symphony Orchestra of Cinematography traces its history from the time of "great silent." One day in November 1924 in the famous Moscow cinema "ARS" on the Arbat took place in front of a not-ballroom pianist pianist and orchestra. This music film was a success with the audience, and soon the orchestra, which was led by composer and conductor D.